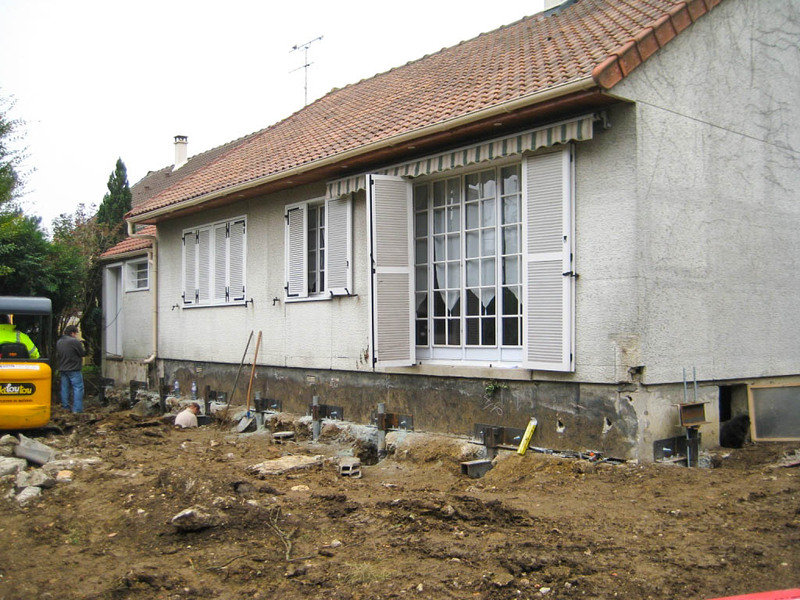 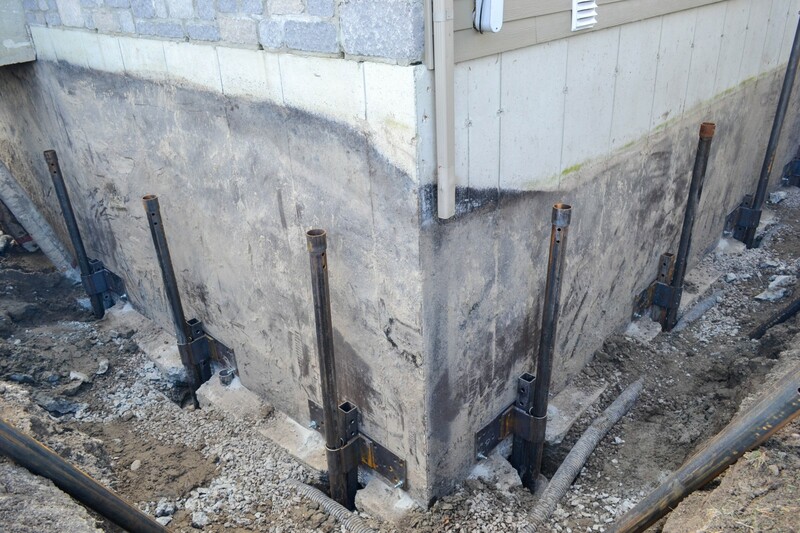 Many clues can help you spot a foundation problem: cracks on exterior or interior walls, cracks in a concrete floor, windows and doors that will not open, a chimney pulling away from the wall of the house. 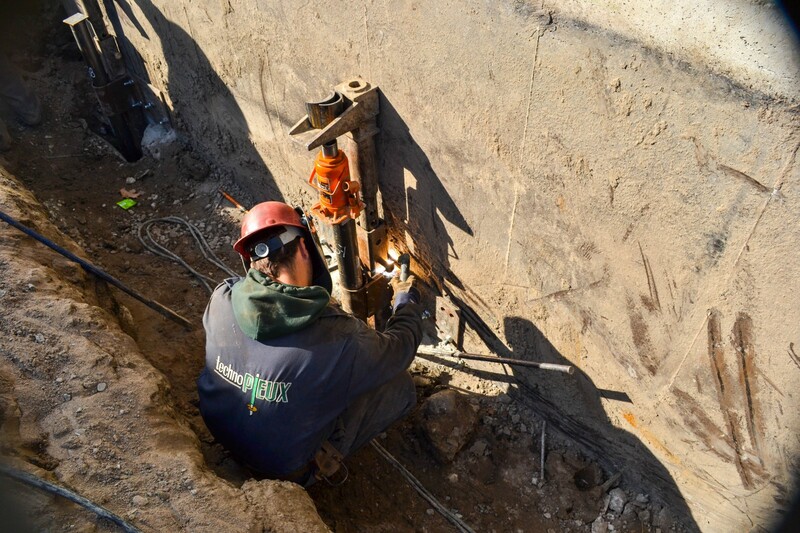 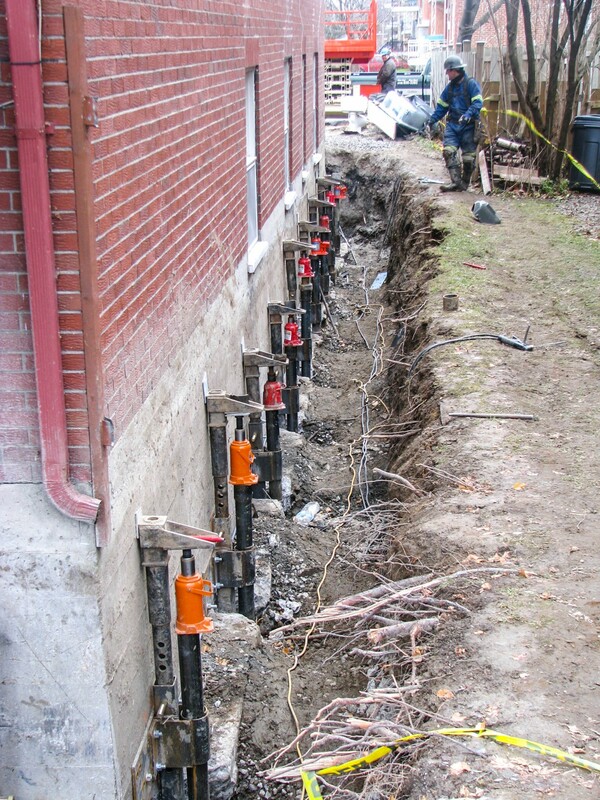 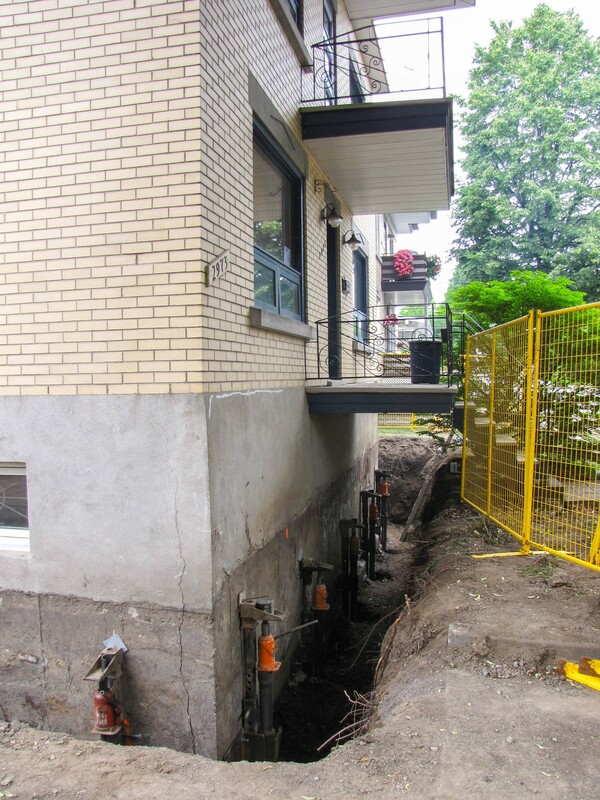 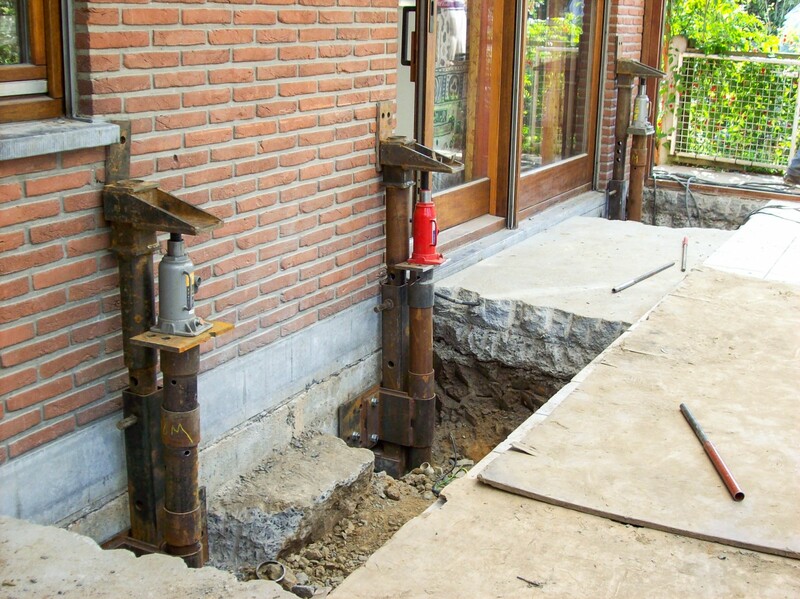 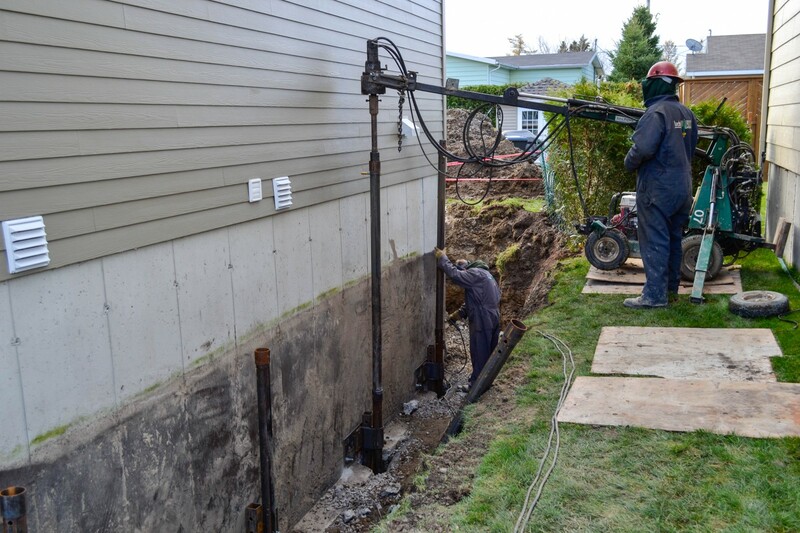 Our helical piles are screwed into the ground under your structure until they reach dense and compact soil with the desired bearing capacity. 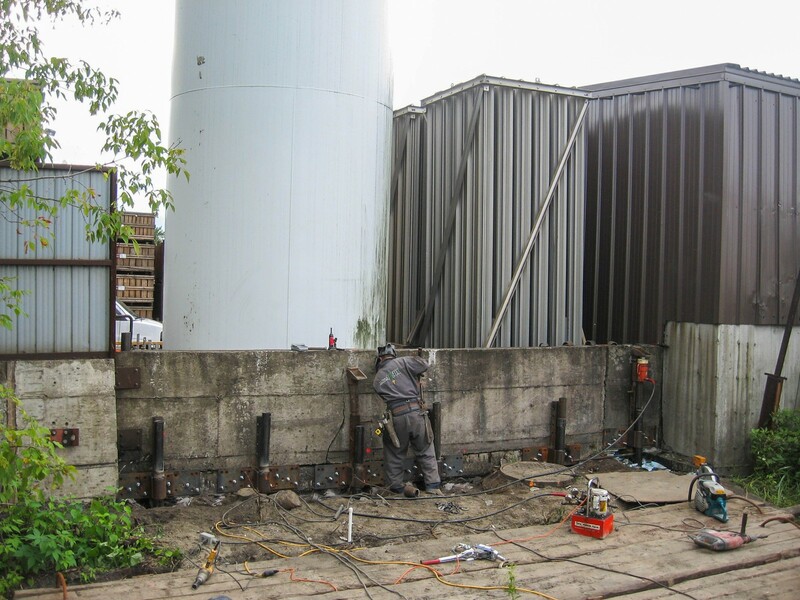 During installation, our equipment measures the driving torque, allowing us to determine the bearing capacity of each pile in real time. 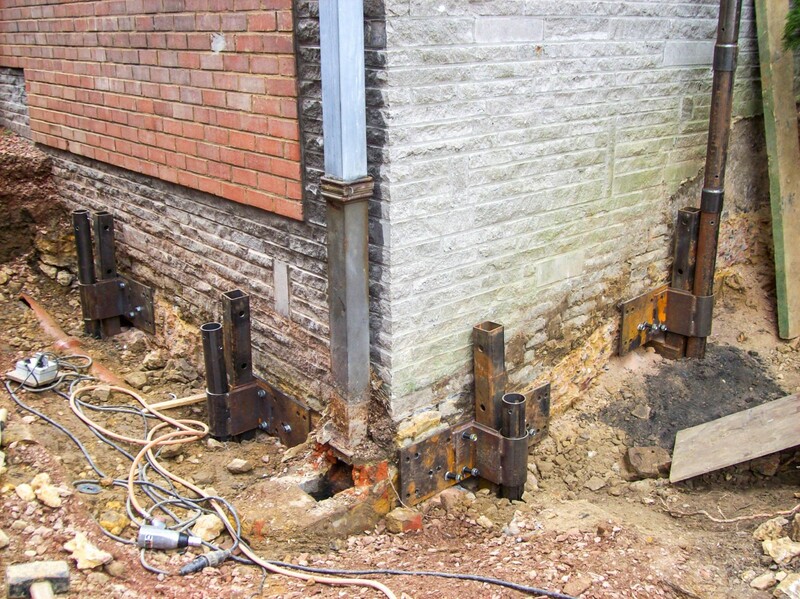 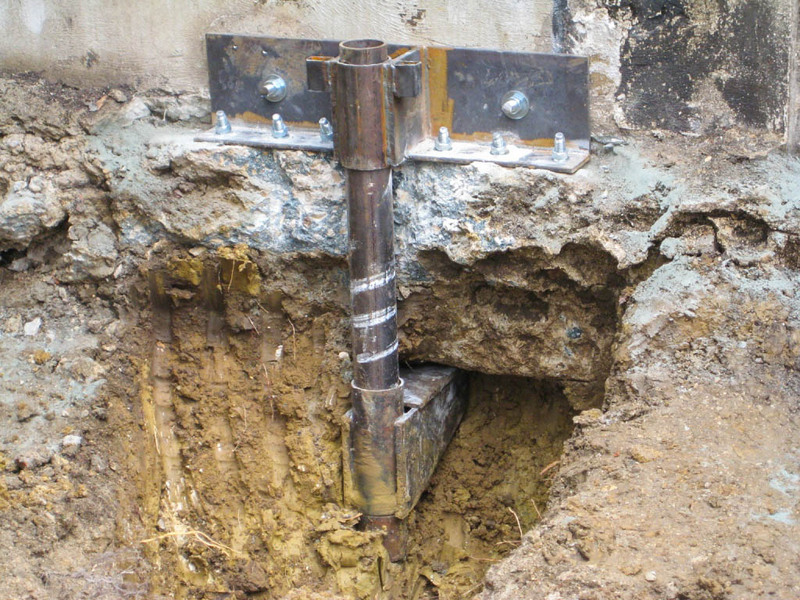 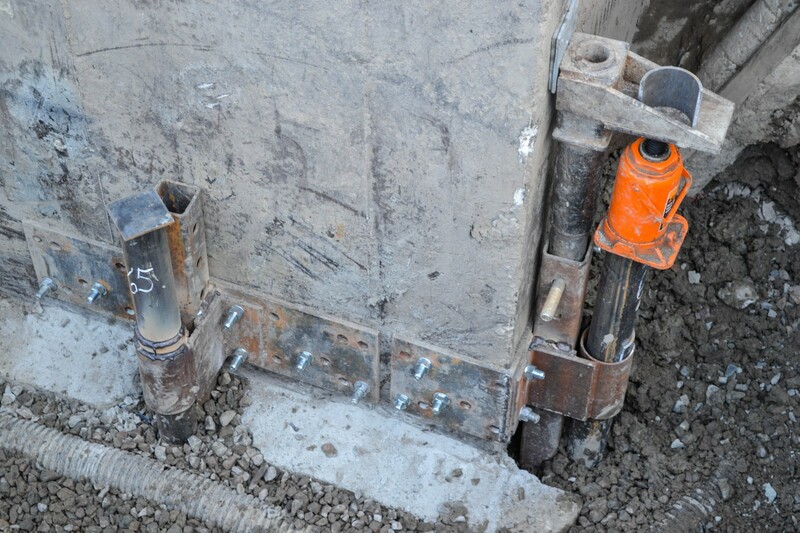 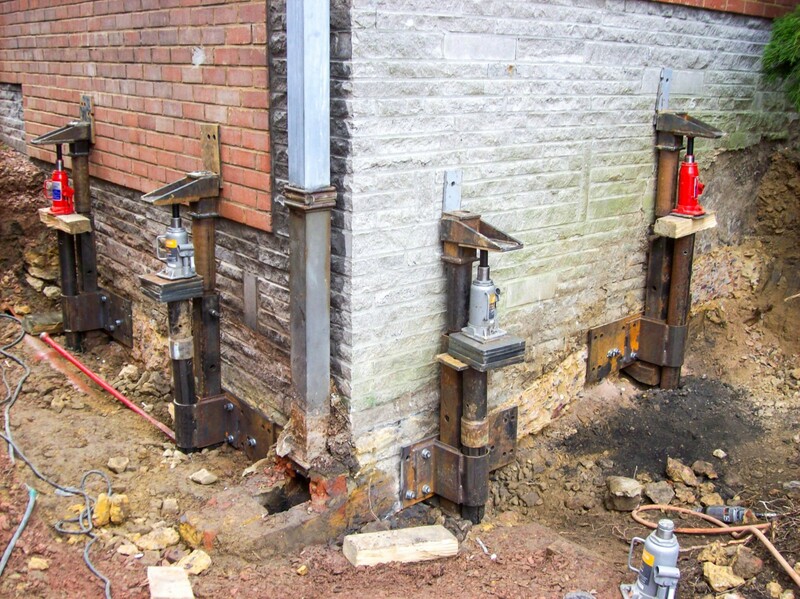 Steel foundation brackets are then bolted to the bottom of the structure and welded to the piers. 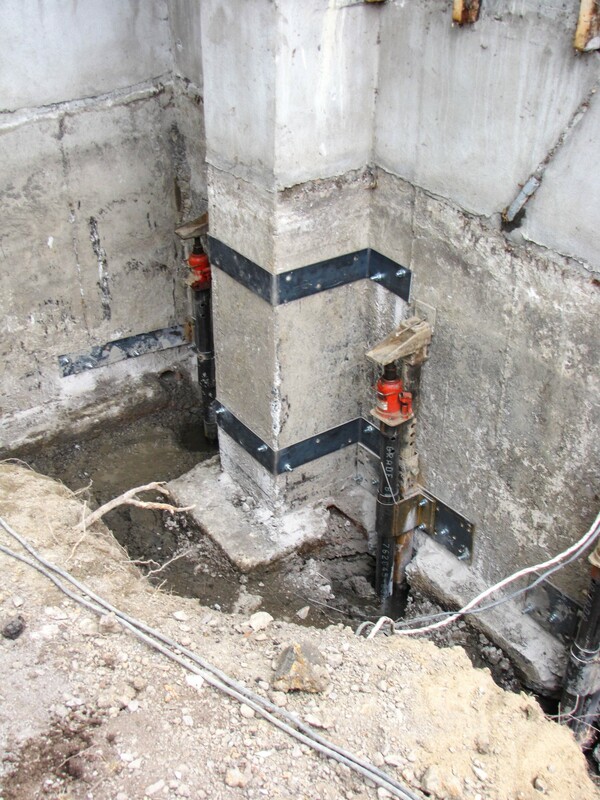 Thus, the weight of the structure is directly and permanently supported by the piles. 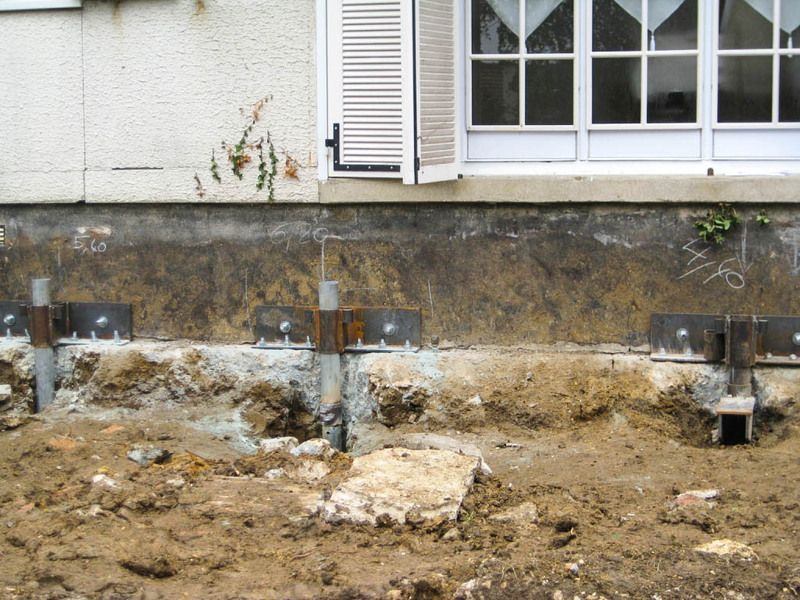 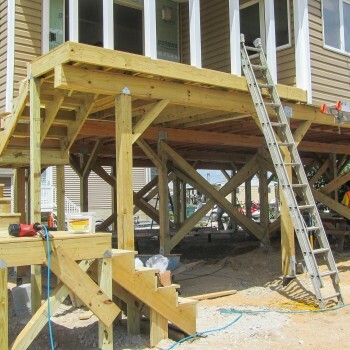 We can also straighten or gradually raise the foundations depending on the nature of the problem. 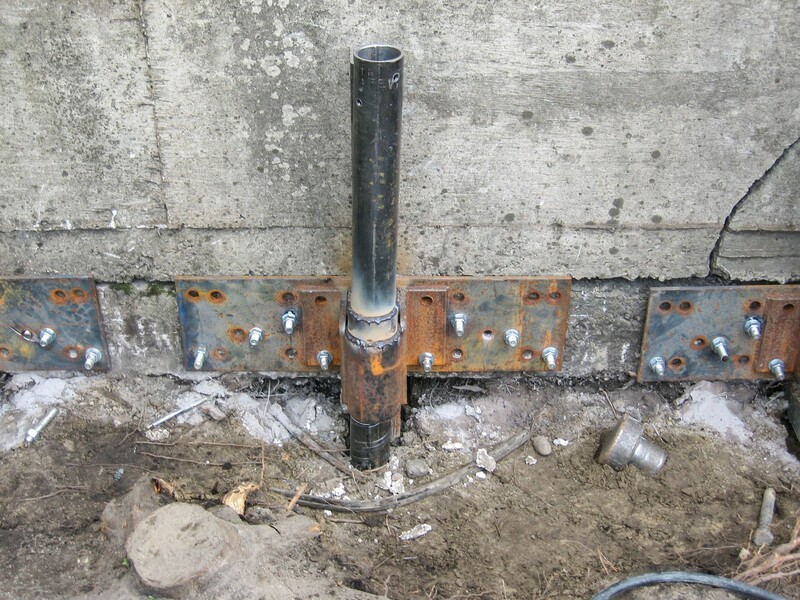 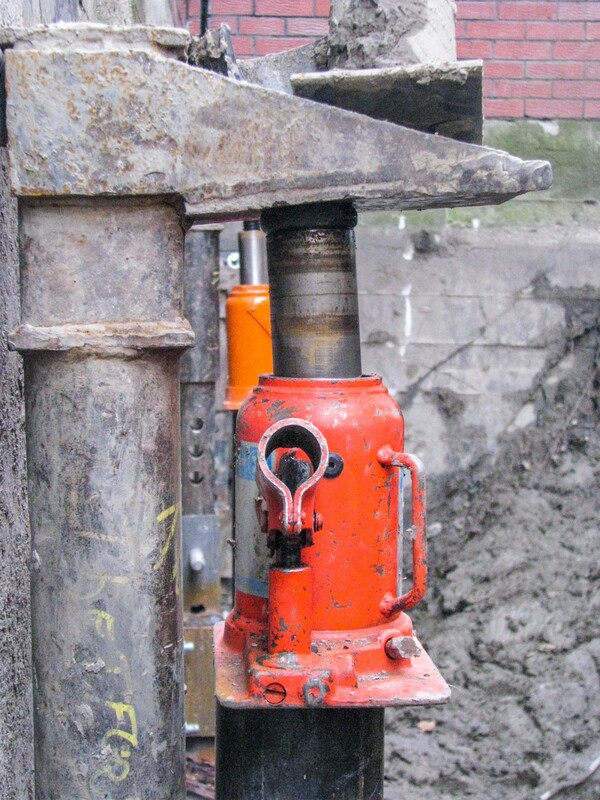 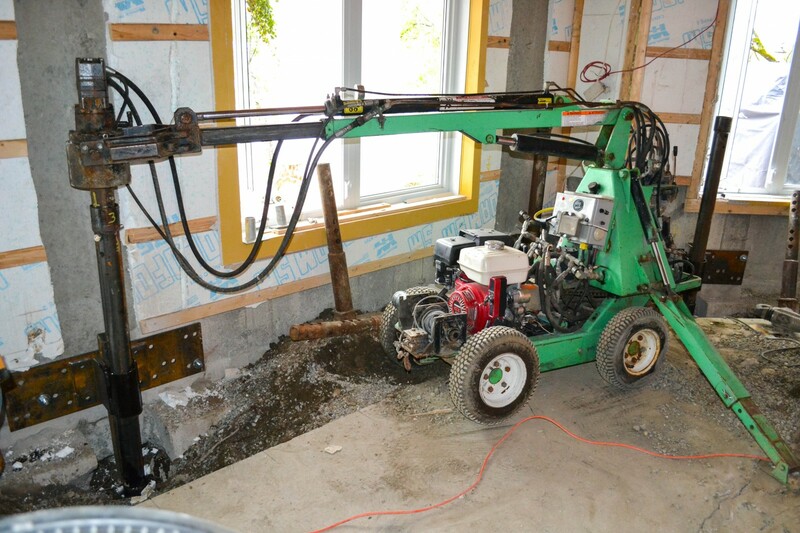 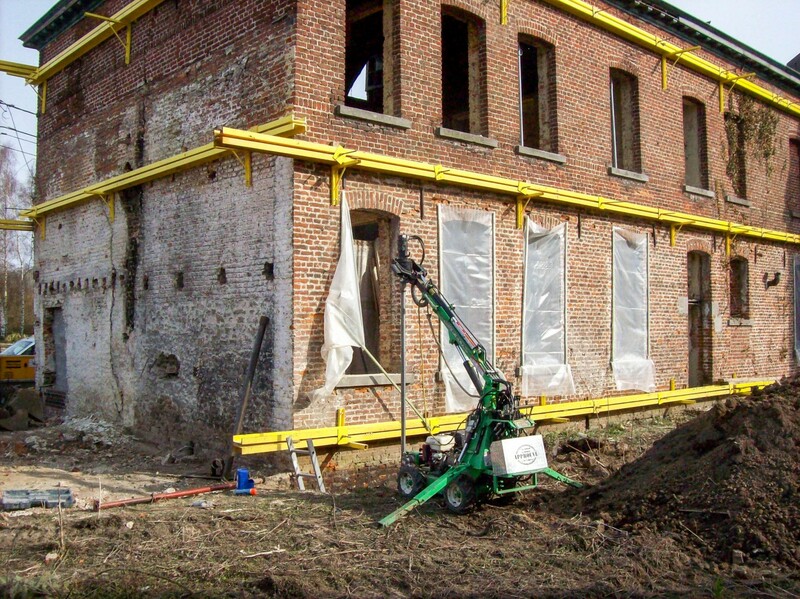 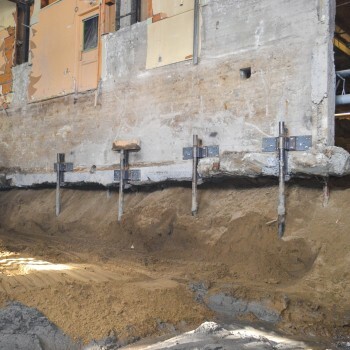 Techno Metal Post helical piles can also be used to support new construction.